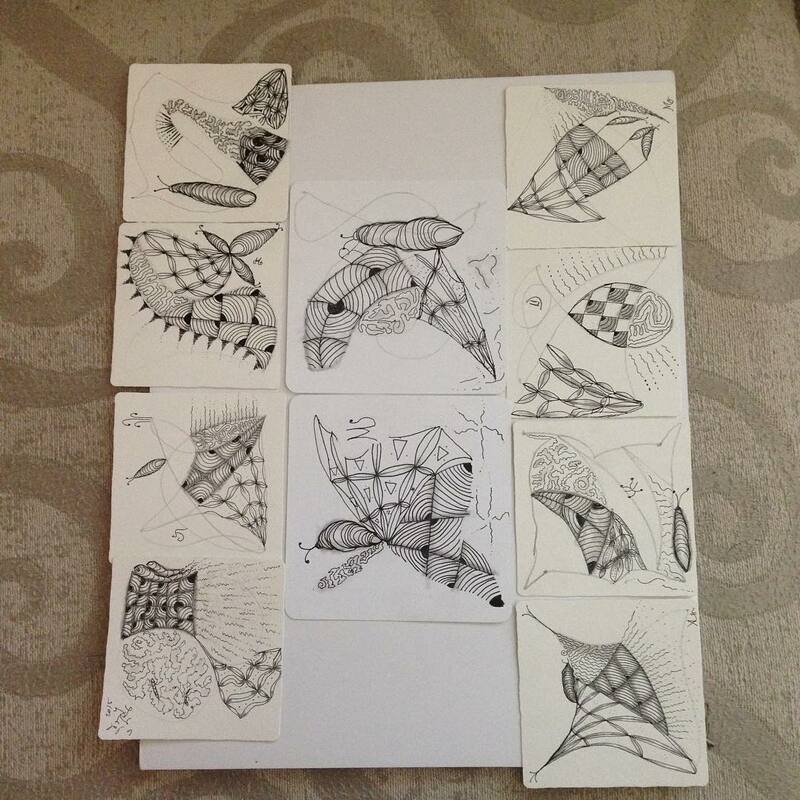 We drove out to Chilliwack for another Basics Zentangle® Class today and other than the heat... we had a blast! We had two very talented young ladies in the class with us. Their work is on the larger Apprentice Tiles. One of them showed me her room. She is doing tangle patterns all over her wall!!! I can't wait to see it completed! As I left the class three classes were booked for over the summer. One next week (here at the condo), another in a few weeks in Chilliwack (date yet to be confirmed) and another (in Chilliwack) August 15th. The August 15th class is Beyond-the-Basics - so we'll be doing all new - somewhat more advanced tangles! 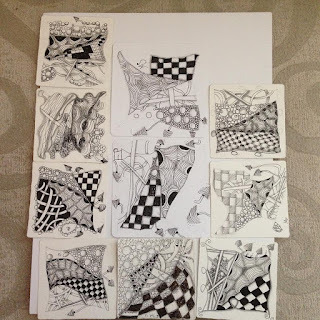 If you've taken a Basics Zentangle® Class with a CZT - then please join us! Oh and the leather binders that I've order in... many of them are sold... so if you want one... please contact me so I can save you one!